After one of the coldest Januarys on record, St. Felix Centre announces they have been invited to host a “Coldest Night of the Year” fundraising walk here in Toronto. 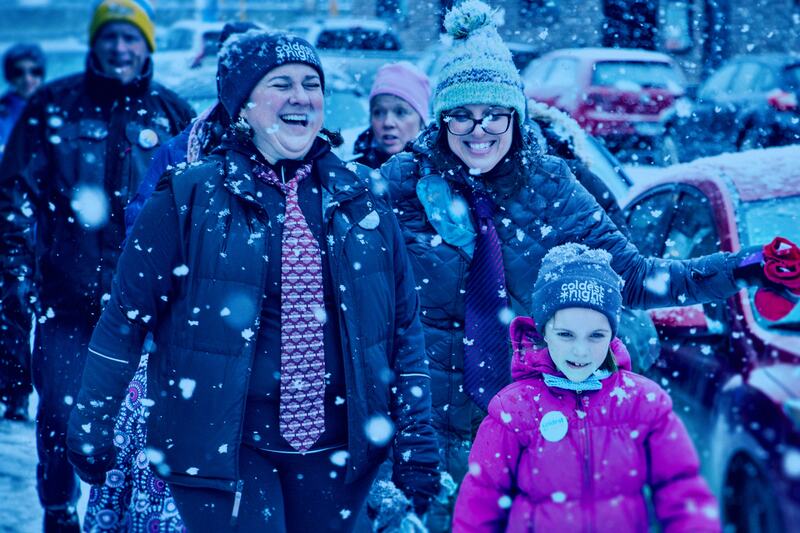 The Coldest Night of the Year is a nation-wide fundraising walk that takes place in 136 communities across Canada. Last year alone the walkathon raised 4 million dollars, and this year St. Felix aims to raise $20,000 of the National walk’s 5-million-dollar goal. Funds raised by St. Felix Centre will go towards supporting their programs and services. “Since launching in 2011, Coldest Night of the Year has always been searching for partner charities with a heart and passion for the marginalized. That’s why we’re so excited to be joined this year by St. Felix Centre, a charity with 80 years of respectfully serving the needs of the most marginalized in Toronto,” says Mika Takamaki, Partnership Developer. For the city’s most vulnerable residents and their pets, St. Felix Centre provides a warm and welcoming 24-Hour Respite site at 69 Fraser Avenue. Opened late last year in conjunction with the City of Toronto, this respite site operates along with their nearby 25 Augusta Avenue location. Not only does St. Felix Centre shelter our most vulnerable community members and their pets, but they provide compassionate around the clock care and support. Support takes many forms at St.Felix Centre, whether it’s helping guests with health needs, access to nutritious meals, detox programs, and referrals to other social services. No matter how complex their needs, St. Felix Centre goes above and beyond to make their guests feel at home and to meaningfully connect with them. “When we found out about St. Felix opening their 24-Hour Respite site across the street from us, we felt compelled to help our neighbours out in the best way we could—providing connectivity. With our donation of fibre Internet, we hope we can provide a means of connection for staff and guests and take one less expense off their list,” says CEO and Co-Founder of Beanfield, Dan Armstrong. Beanfield isn’t the only neighbour who has shown their support for the respite centre. Local businesses and residents in the Liberty Village area have all come together to help in some way. When St. Felix Centre recently put out a call for coffee mugs, residents and businesses—including Beanfield—came forward with an endless mug supply to help their neighbours feel at home. The local community will once again band together to support St.Felix Centre on February 23rd as they host their very first “Coldest Night of the Year” fundraising walk. “Having been invited to be a part of this year’s Coldest Night of the Year walk is a great honor. We believe this is not only an amazing opportunity to get people a closer understanding on how difficult it is to experience homelessness and be out in the cold streets, but also a tremendous opportunity to build new relationships with those participating in the walk, raising funds to support our guests through St. Felix Centre’s programs and services. Working together as a strong community, we can make a difference in the lives of many” says, Enrique Cochegrus, Manager, Business Development and Communications at St. Felix Centre. St. Felix welcomes all city residents to get involved by putting a team together and encouraging others to sponsor your walk. Supporters will walk from St. Felix Centre’s 25 Augusta Ave location to their 24-hour respite site at Liberty Village, and back for a small celebration.